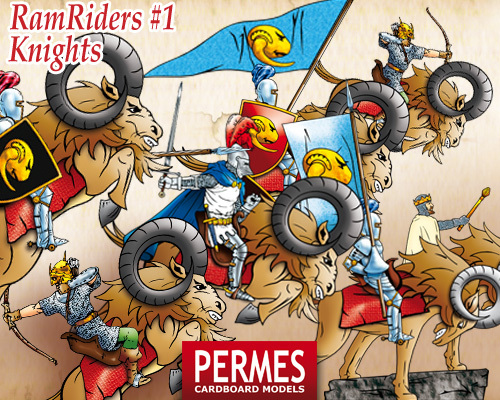 Ramriders Set #1 - Knights RELEASED! with additional/optional accessories like various shields and banners. There are 2 basic ram mounts presented in various poses: charging/attacking, jumping, prancing and standing still. please check out RPGnow or WargameVault sites for cover preview and Quick Preview (set pages previews)! which allow building and customising various versions of minis.